Dog food calculator is an essential assistant for every dog owner. It helps you in everyday dog nutrition, providing with your dog's daily calorie demand as well as the number of servings you should give your pet to cover its nutrition needs. 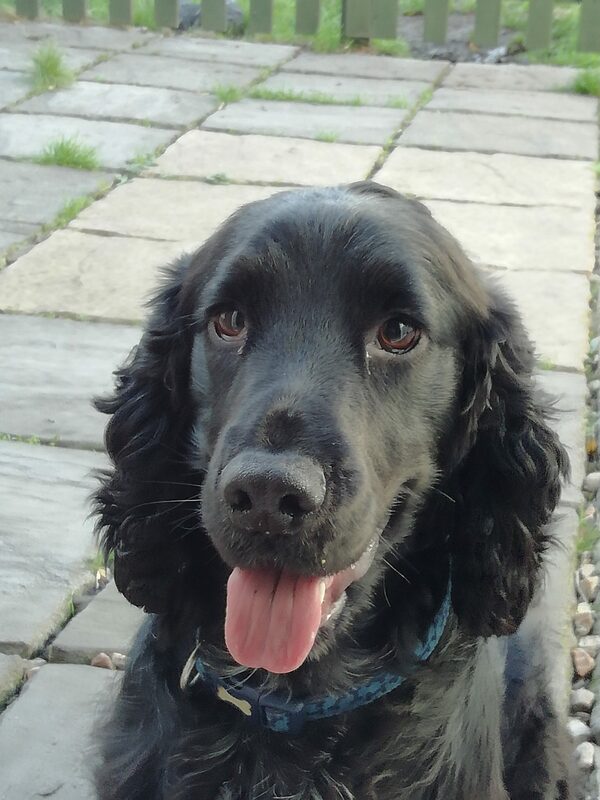 It doesn't matter whether you have a lazy dog or a working dog, this dog calorie calculator allows you to choose the best dog food for any day. No more wondering how many calories does a dog need! Dogs need energy to function properly, just as any organism does. Therefore, their daily calorie intake needs to be sufficient to maintain a dog in good overall health, proper weight, and right physical and mental condition. Energy in the form of calories is essential to support both basic body functions and physical activity. RER does not account for calories burned to support physical activity. Physical activity is anything that a dog does through a day, and that requires additional energy (calories) to be burned except for these used to support resting (basic) functions. These are all the activities, exercise and tricks a dog does during the day. Each wag of its tail, fetched ball and chased cat consumes energy! The total daily energy needs are also known as MER - Maintenance Energy Requirements. 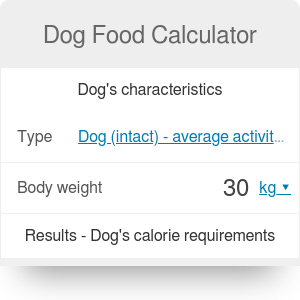 This dog food calorie calculator gives you only estimations - the real dog's daily calorie needs rely on various factors which may change with time and circumstances. If you have any doubts about your dog nutrition, calorie intake, and best dog food, consult those topics with a professional vet. The daily energy requirements may differ between dogs - factors such as breed (even if the dogs are the same size), age, living environment (inside or outside), body condition, being neutered/intact and overall size all influence a dogs nutritional needs. Dog metabolism varies a lot in general, and it is mathematically impossible to determine precisely how many kilocalories a dog needs. For this classification, an inactive dog is one that rarely runs around a backyard; moderately active dog has up to 30 minutes of continuous exercise every day; active dog is one that walks 2 times a day for about 45 minutes each time; and higly active dog gets at least several hours of exercise a day. First, choose the dog's type from the list - for Boscoe this will be adult, intact dog with average activity. Next, enter the dog's weight - he weights 25 kg. Now, you can see the results - Boscoe's MER value is 1409 calories/day. Then, if you want to find the RER value as well as how many cups of food you need to give your dog, click the advanced mode button. RER expense is respectively 783 calories/day. Enter the calories per 1 dose. And check the result - Boscoe's owner should give him 5 cups of dry food per day. Dog Food Calculator can be embedded on your website to enrich the content you wrote and make it easier for your visitors to understand your message.